Unlike Indian languages, which has no articles, English uses three articles which define whether a noun is specific or unspecific. The three articles are ‘a’, ‘an’ and ‘the’. Submit me a write-up by today evening. The usage of the article ‘a’ implies that a single write-up on any topic can be submitted. The usage of the article ‘the’ implies that a specific write-up is to be submitted. The above example shows that English has two types of articles: Definite and Indefinite. Please pass me the chair. The above sentence would imply the request of a specific chair that is to be passed on, thereby limiting the meaning to one particular chair. It can be used both before singular and plural nouns. Sharon took the book from me. The animals were set loose during the fire. The Himalayas is the largest mountain range in the world. The quick brown fox jumped over the tall fence. Sam is the best at cooking stories. There are two types of indefinite articles: ‘a’ and ‘an’. 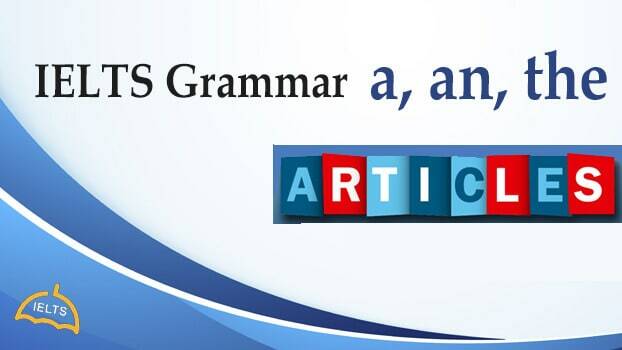 Unlike the definite article ‘the’, ‘a’ or ‘an’ are used before singular nouns only and indicates generality. Should we go to watch a movie? The above question refers to watching any movie and does not specify a movie in particular. The article ‘a’ appears before a singular noun which starts with a consonant. For example, a temple, a book, a wheel, a chair; or before a noun phrase starting with a consonant like a thin phone, a black dog. In other words, the following needs to be starting with a consonant. On the other hand, the indefinite article ‘an’ appears before nouns that start with a vowel. For example, an egg, an excessive urge, an elephant, etc. Please pass me a notebook; any notebook will do. I do not have a fixed timetable. I saw an elephant at the zoo. Every rule has an exception and articles are no different. We now know as a rule that nouns starting with a consonant take ‘a’ before them and nouns starting with a vowel take ‘an’. The mayor is an honourable man. She is an honest employee. Another exception to the rule is with words starting with the letter ‘u’. Acronyms too follow the same rule: an LCD display, a USB port, an HR department, an LnD department, etc. Noun phrases are often of the order article + adjective + noun and in such cases, the appearance of ‘a’ or ‘an’ depends on the article that follows it as mentioned earlier. Nouns that cannot be counted are called uncountable nouns. For example, water, milk, hair, etc. Uncountable nouns for the very same reason never take ‘a’ or ‘an’ before them, because these indefinite articles can only be used for singular nouns. However, ‘a litre of water’ is perfectly grammatical because litre is a unit of measurement and is singular in number. Note: Using an article before quantified uncountable noun is grammatical. There are certain nouns that necessitate the use of the definite article ‘the’. The article ‘the’ is always used before historical monuments like ‘the Statue of Liberty’, ‘the Charminar’, etc. The article ‘the’ is always used before religious texts like ‘the Quran’, ‘the Gita’, ‘the Bible’, ‘the Upanishads’, etc. The article ‘the’ is always used before rivers, mountains, deserts, oceans, etc. For example, the Himalayas, the Thames, the Sahara, the Pacific Ocean, etc. The article ‘the’ is only used before the three nations ‘The United States of America’, ‘The United Arab Emirates’, ‘The United Kingdom’. Note: NO other country takes no definite or definite article before them. For example, the India, the Germany, etc are wrong. In some cases, articles are omitted from the preceding place of a noun. In such cases, the article is not present, but implied. Where do they appear? These omissions typically occur before abstract nouns, i.e., names of entities that cannot be touched or seen, but can only be felt. For example, love, courage, creativity, etc. Sports and academic subjects do not need the use of articles. I am fond of playing cricket. I have always wanted to study Chemistry.